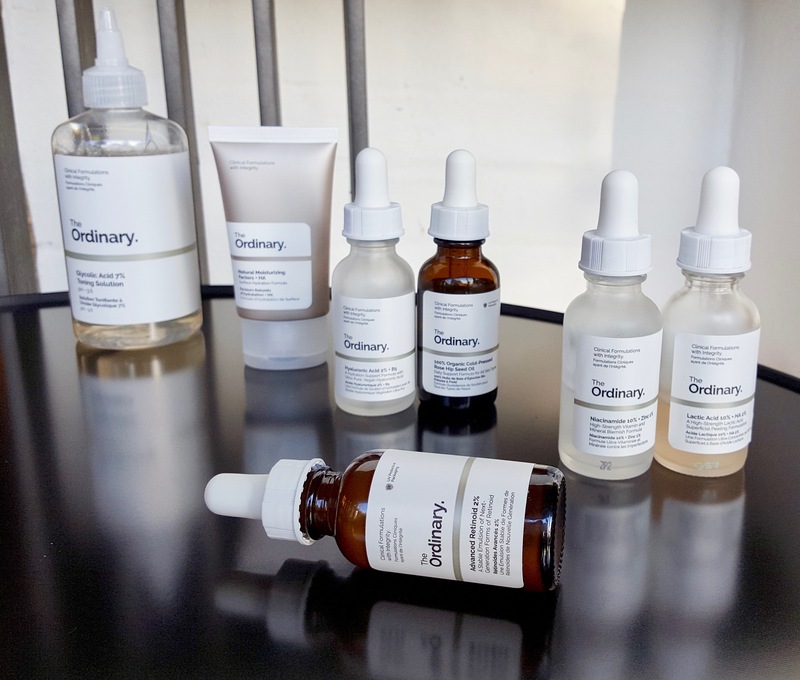 The Ordinary is a brand from DECIEM (an umbrella of brands, with sister brands like Hylamide and NIOD). you often ask me. Online, via their own website and once via asos.com. However, they’re constantly sold out. Everywhere. In no particular order I’m going to go through the products (my husband and) I use, their purpose and which skin types that could benefit from their use. 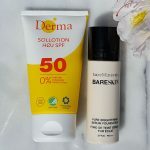 I’ve narrowed it down to these 7 universal products, suitable for almost all skin types and integrable in a daily AM and PM skincare regimen. I’ll write a more in depth post on my favourite products from The Ordinary in an updated version of my skincare routine. Active key-ingredients: niacinamide and zinc. Among many beneficial properties niacinamide (Vitamin B3) inhibits sebum production in turns reducing the appearance of the size of the pores, enhance the barrier function and reduce skin hyperpigmentation. The added zinc salt helps sebum control as well. My husband uses this to control his oily T-zone. Use: After cleansing and before creams/oils. Apply to e.g. your oily T-zone (or the areas needed) or your whole face AM and/or PM. Skin types: Oily to combination. And anyone interested in the many beneficial effects of niacinamide other than oil control. Lactic acid is an alpha hydroxyl acid (AHA) that exfoliates the skin. I’ll write a whole blog post dedicated to acids, more details there. My husband uses this because he thinks the stronger the better, when it come to acids. Use: Use as a serum in the PM (tingling feeling occur). As with any acid it can be diluted with water to reduce its strength until your skin develops tolerance. Use sunscreen the following day, as AHA can sensitize the skin to UV-radiation, increasing the risk of your skin getting sunburned. Skin types: contraindicated for people with sensitive, peeling or compromised skin. For you, that wish to benefit from the many “anti-aging” (I don’t like that word, yet another blog post to write) effects of lactic acid. In short vitamin A = retinoids are the gold standard for treating photo damaged skin. When applied in the right concentration and correct chemical formulation (important points!) not only do retinoids then protect the skin from further photoaging, but they also reverse it by treating fine wrinkles and pigmentations . All-trans-retinoic acid (tretinoin) is the most well-studied with clinically documented effects, therefore used as prescription topical treatment for acne, photo damaged skin amongst others. Before I go into further detail: I’ll write a dedicated “What are retinoids and what are they good for? blog post in the near future (gosh my to do list is getting longer and longer). Active key-ingredients: hydroxypinacolone retinoate (a non-prescription ester of all-trans direct retinoic acid) and retinol. Use: as a serum and as the FIRST product after cleansing, before night cream/face oil in the PM only. Use sunscreen the following day, as retinoids sensitize the skin to UV-radiation. A thumb rule for retinoids in general; they should not be used with other retinoid treatments. Can be combined with other products e.g. Niacinamide in the T-zone and retinoid elsewhere – in other words, I wouldn’t layer them. Skin types: All. Irritation, such as redness and stinging, of the skin can occur, so-called retinoid dermatitis. If persistent, discontinue and consult your general practitioner. Active key-ingredients: linoleic acid, linolenic acid and pro-vitamin A (transretinoic acid or natural tretinoin). Rosehip seed oil strengthens the barrier function of the skin, has anti-inflammatory properties, is used in treatment of scarring  and thus beneficial for inflamed skin conditions such as eczema, psoriasis and acne. Use: After serum. Ideally in the PM. My skin loves rose hip seed oil, it gives the most beautiful glow. Skin types: All. If you have normal to dry skin, and you should only buy one thing, go for this beauty. Many brands sell rose hip seed oil. Must be cold-pressed, however, to preserve the beneficial properties). Active key-ingredient: Hyaluronic acid (HA). HA is a glucosaminoglycan polysaccharide (think a long chain of paired sugar molecules) occurring naturally in the dermis of our skin, where it acts as a natural humectant. Read in-depth post WHAT IS HYALURONIC ACID AND HOW TO USE IT. Acting as a hydrator, this formula contains three different HAs, including a HA crosspolymer, which instantly plumps and hydrates my skin, without drawing water out of my skin. In combination with the Glycolic 7% Toning Solution it has freed me from my otherwise chronic dry patches around my nose (win!). Use: as a serum (after cleansing, before cream/oil) both AM and PM. GA is yet another AHA that exfoliates the skin. My #holygrailacidtoner that has got me rid of my dry patches and overall given my skin an even and beautiful texture. 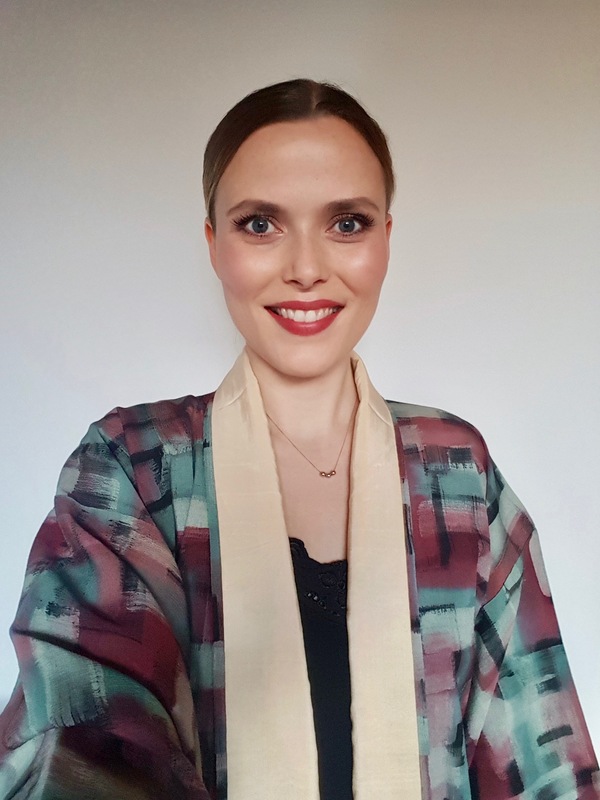 Many of you have asked me whether my sensitive rosacea skin can tolerate it, and yes, it can. Initially, I experienced a tingling sensation, but quickly my skin developed tolerance. Use: After cleansing, before serum or cream/oil, in the PM. Soak a large cotton pad, go over the whole face, down the neck, decollete and behind the ears. Can can be diluted with water to reduce its strength until your skin develops tolerance. Use sunscreen the follow day, as AHA can sensitize the skin to UV-radiation, increasing the risk of your skin getting sunburned. “Contains 11 amino acids, phospholipids, alpha/beta/gamma fatty acids, triglycerides, sterols and sterol esters, glycerin, ceramide precursors, urea, saccharides, sodium PCA and hyaluronic acid”. A moisturizer, aside from the fancy name, which is a decent hydrator for dry to normal skin. At first application I found the grainy white texture slightly strange, but it absorbs beautifully into my skin providing a nice base for foundation. Perfect travel sized packaging. Use: After cleansing or serum. AM and PM. Skin types: All. The texture is a matter of preference. I’ve also purchased Azelaic Acid Suspension 10%, “Buffet” and the Coverage Foundation, but they will be treated in another blog post. I hope you found this useful. 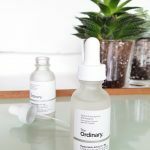 Please follow me on Instagram https://www.instagram.com/makeupandmedicine.dk/ and tag me in your pictures if you purchase any products from The Ordinary. I would love to hear your thoughts. This is not a sponsored post and it is without affiliations. All products are purchased by me. I know! 1) Topical Vitamins. Cosmetic Dermatology: Products and Procedures, Second Edition. Edited by Zoe Diana Draelos. © 2016 John Wiley & Sons, Ltd. Published 2016 by John Wiley & Sons, Ltd.
2) Topical Cosmeceutical Retinoids. Cosmetic Dermatology: Products and Procedures, Second Edition. Edited by Zoe Diana Draelos. © 2016 John Wiley & Sons, Ltd. Published 2016 by John Wiley & Sons, Ltd.